Research shows that legacy ERP 1.0 systems were not designed for usability and insight. More than three quarters of business leaders say their current ERP system doesn’t meet their requirements, let alone future plans. These systems lack modern best-practice capabilities needed to compete and grow. To enable today’s data-driven organization, the very foundation from which you are operating needs to be re-established; it needs to be “modernized”. The rapid evolution of the cloud has dramatically altered the ERP landscape for companies of all sizes. Coupled with mobile platforms, our work anywhere/anytime culture requires modern cloud-based ERP systems not tied to yesterday’s back office, on-premises environments. This next generation of ERP, or “ERP 2.0,” builds upon the formidable history of “ERP 1.0,” but eliminates the need for multi-year projects and heavy customization. Let Rapidit assist in this “modernization”. RapidIT’s goal is to help you navigate your own journey to modernization by sharing the knowledge we’ve gained working with many customers using both legacy and modern ERP systems. To that end, we’ve crafted our “Digital Transformation” organization. Rapidit can help with Complete Projects, Project Cutouts, Staff Augmentation, Implementation, and ERP Selection. Whether you choose an ERP solution from Oracle, SAP, Microsoft, or one of the niche providers like Odoo, or Deltek - we have your back. Our deep understanding of ERP systems transcends individual solutions, and yet, we are aware of the uniqueness of each platform. RapidIT can suggest the ideal ERP platform for your organization, and implement it so that it meets the exact needs of your company. Staffing needs can fluctuate for ERP projects based on business need, and what phase of ERP adoption you are in. Rather than hire full-timers, you can rely on RapidIT’s ERP staffing solutions to provide you with experienced personnel on-demand. Save on hiring costs, and still meet the goals of your business. 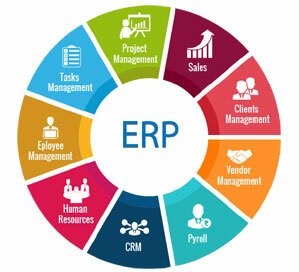 Any ERP platform is as successful as it is well-integrated with other enterprise applications. 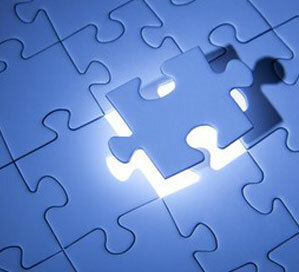 Whether integrating with CRM, MAS, HRMS or other platforms, RapidIT has executed all these integrations. We use industry leading data integration tools like Informatica Cloud, and add in our expertise to guide you at every step of the integration. 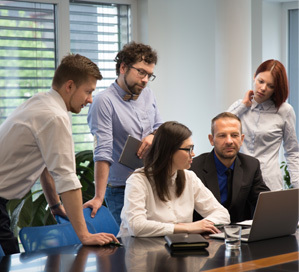 With ERP systems that meet today’s needs, Microsoft Dynamics, Oracle, SAP, Infor and others, RapidIT has a full breath of knowledgeable consultants to aid you in all phases of your ERP journey.